This has to be the most adorable version of the national anthem I have ever heard. I loved every second of it with baby! The national anthem of The United States of America is inspired by the British bombing of Ft. McHenry during the War of 1812. “The Star-Spangled Banner” became one of the nation’s best-loved patriotic songs whose lyrics describe the writer’s emotions as he watched this battle from the safety of a British warship. The anthem gained popularity among the Americans during the Civil War when the music became a means of expressing the feelings for the nation’s flag and the ideals it represented. 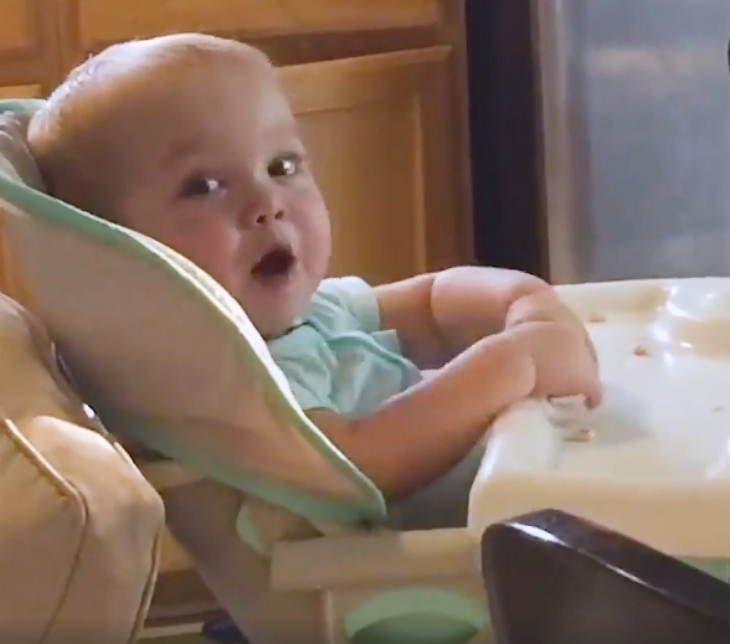 The anthem is mostly used during important national days such as 4th of July or for military honors, but every true American knows the lyrics of this special song and some even sing it at home along with their babies, and it’s the most adorable thing ever. 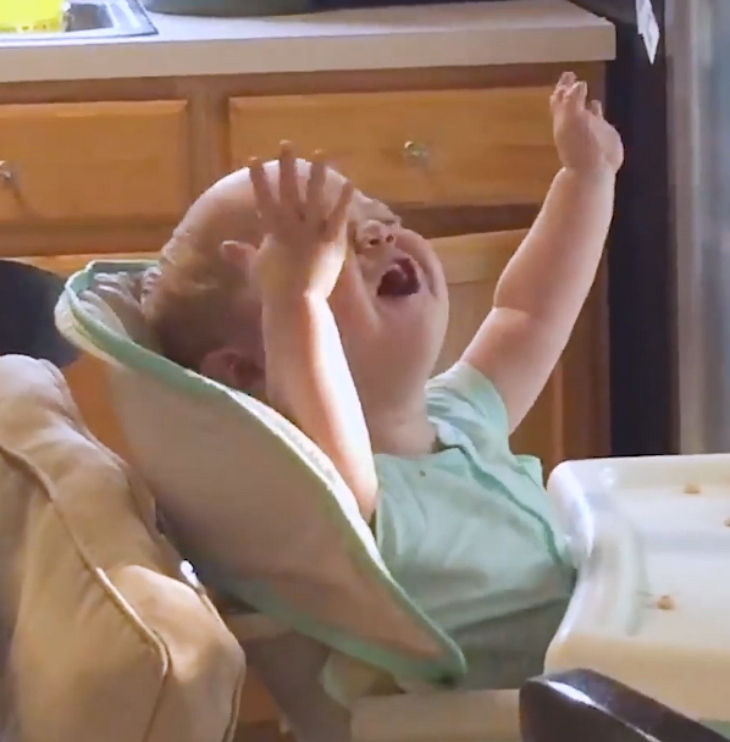 The song’s music and lyrics are not that easy to be perfectly performed, but this daddy rocks it when he sings the anthem along with his adorable baby. The little sweetheart sits in the chair and can’t take the eyes off of the daddy. “The Star-Spangled Banner” became an official government tune in 1889 when it was recognized by the United States Navy. U.S. President Woodrow Wilson also recognized it in 1916 and it became the official National Anthem per approval by a congressional resolution on March 3, 1931. 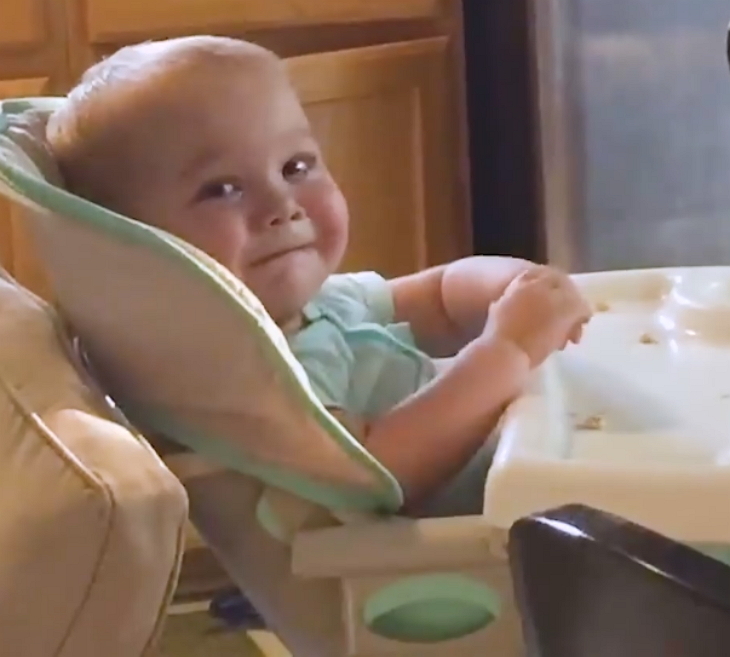 As part of this incredibly cute duet, the daddy starts with the verse most Americans know by heart. 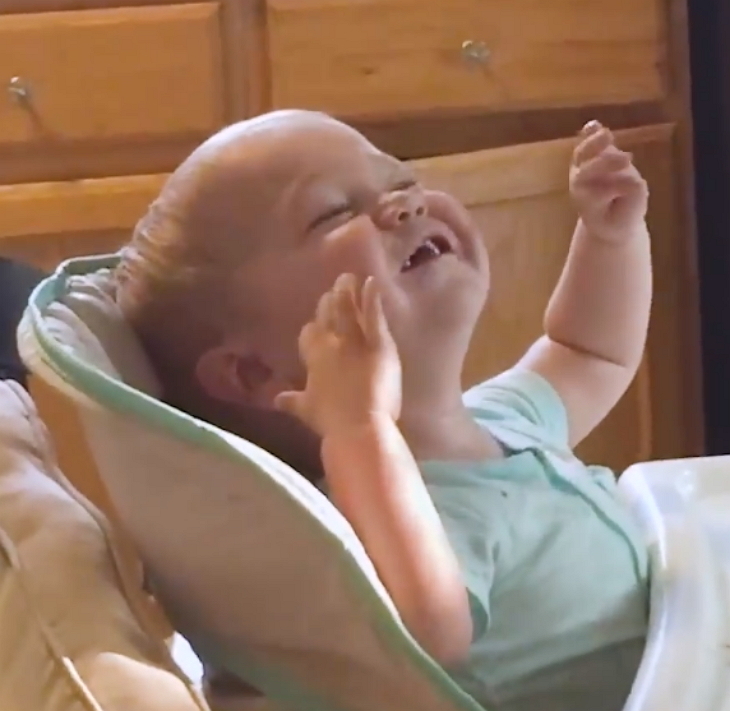 As the dad sings, the baby tries to sing along with him by stretching the arms up high. Take a look at the video. This will be the most beautiful thing you’ll see all day.